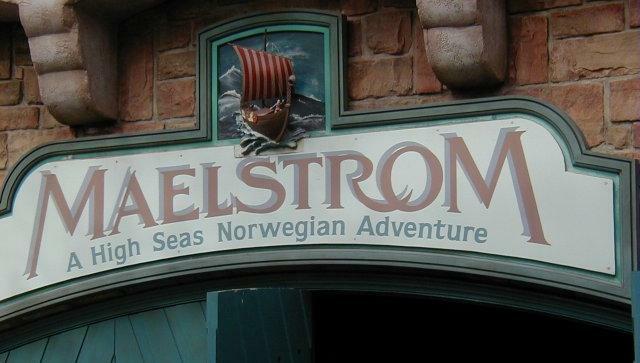 Maelstrom’s last day of operation will be on October 5th. The Norway Pavilion will remain open during the construction work on the attraction, according to Disney. The reopening of the Frozen attraction at Norway will be early 2016. When Walt Disney promised that Disneyland would never be completed, so long as there is imagination left in the world, he made a promise to our guests that we take seriously at all our locations around the world. This year, one particular product of imagination — Disney Animation’s blockbuster hit “Frozen” — captured the hearts and minds of people around the world and gave us a new opportunity to make good on Walt’s pledge. We’ve made “Frozen” a part of the guest experience in a number of ways already and our guests have both loved them and asked for more. So I’m pleased to say that we’re starting construction at Walt Disney World Resort on a brand new “Frozen” attraction at the Norway Pavilion in Epcot. The new attraction, which replaces Maelstrom, will take our guests to Arendelle and immerse them in many of their favorite moments and music from the film. The pavilion will also include a royal greeting location where Anna and Elsa can meet our guests. We think these “Frozen” elements are great compliments to the Norway Pavilion, which showcases the country and region that inspired the film. We’re extending some favorite elements of Frozen Summer Fun LIVE!, too, so that guests at Disney’s Hollywood Studios can continue singing along to “Frozen” songs with Queen Elsa and Princess Anna. Wandering Oaken’s will set up shop closer to the show through the holiday season and will feature a larger play area with real snow (in Florida!). From the moment we screened the film several months before its release, we were inspired by the possibility of bringing this great story to life for our guests. Frozen Summer Fun LIVE! has been extremely popular, and now we’re looking forward to doing even more to allow our guests to experience the “Frozen” phenomenon.